Mobile Petting Farm & Pony Rides. We bring the farm experience to your backyard! 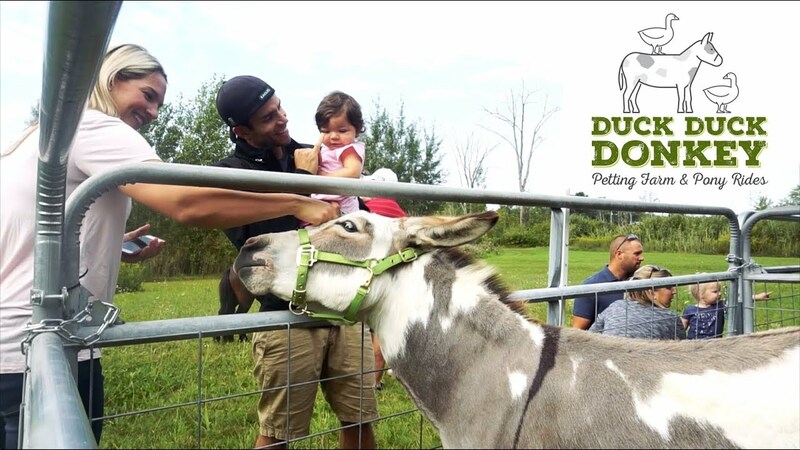 Duck Duck Donkey offers mobile petting farm and pony ride services within Southeast Michigan. We are available for birthday parties, picnics, corporate events, church events, family reunions, and other events. We bring the farm experience to you! Hand-lead pony rides are available as an add-on to our engaging and educational petting farm. We love interacting with your guests! We offer services within a 40 mile radius of Lapeer, MI with a small charge for locations outside of 40 miles. A great petting farm! Super nice people, beautiful well cared for animals, clean. Great to work with. Had them over for a mini photoshoot, the kids had so much fun! Great experience with Duck Duck Donkey! We booked Duck Duck Donkey's petting farm for a 4-year birthday party for our children. We had a fabulous experience and the kids ranging in age from 3-11 had a blast! The animals were just adorable and Chorizo the pig was a crowd favorite. I was worried about having enough space in our backyard but Rob and Rachel were able to adapt the set-up to fit our space and needs. They were extremely professional, friendly and engaged throughout the event. I would highly recommend Duck Duck Donkey! Duck duck donkey was so great! We went to a party at a friends house and my 2 year old loved it! The owners were so friendly and willing to go above and beyond talking to us about the animals. The animals were all super friendly and the kids were able to get very hands on (petting them, holding chickens, feeding them carrots, & playing with the pig that was running around!). I definitely would recommend them to friends!! The perfect party for kids!! I was so impressed with our recent Duck Duck Donkey event! The animals were so sweet and friendly - a perfect mix and size for our kids and their friends. The owners were so organized and did an excellent job of explaining the best way to interact with the animals. They even brought carrots for the kids to feed them! I would highly recommend them to anyone looking for a truly unique and fun way to celebrate with your children. Duck Duck Donkey has the cutest animals!! They are very attentive and really strive to make your event special! Who doesn't love petting a baby pot belly pig?!? Our kids and their friends are still talking about how they rode ponies together and hung out with the goats. These guys are great! Kept kids of all ages entertained for hours. They had a large variety of animals available for petting as well as different sized ponies for all ages. They are professional, know how to keep it fun, and the animals are obviously well-cared for. Would definitely recommend for your next event. Our booking process is extremely simple. Check in with us with your date and time and if we're available we'll get everything settled for your event. We require a $50 deposit to hold the date and timeframe of your event. This deposit is non-refundable. In the event of extreme weather, for the safety of our employees and animals we may be required to cancel. In this scenario we will refund your deposit. With the exception of extreme or dangerous weather, we party rain or shine! PLEASE NOTE: Your event booking is not guaranteed until the deposit is paid. Deposit invoices are considered due upon receipt. We reserve the right to accept another booking if a deposit goes unpaid. On the day of your event we will arrive at a pre-determined time prior to your booking time for setup. 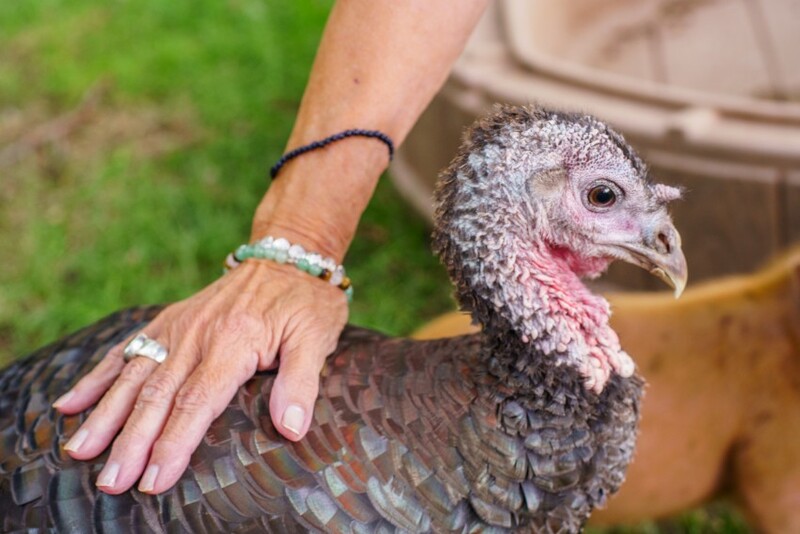 Our party petting farm requires roughly 20 feet by 20 feet of space to accommodate the farm (10ft x 10ft) and guest interaction around the farm space. 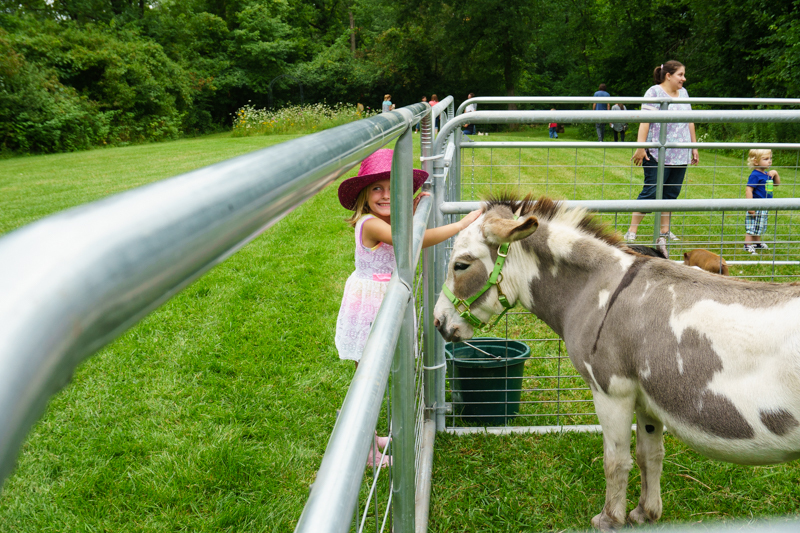 The party petting farm is best for birthday parties and small gatherings of 50 guests or fewer. Extra space around the enclosure allows for comfortable access for your guests and our animals alike. 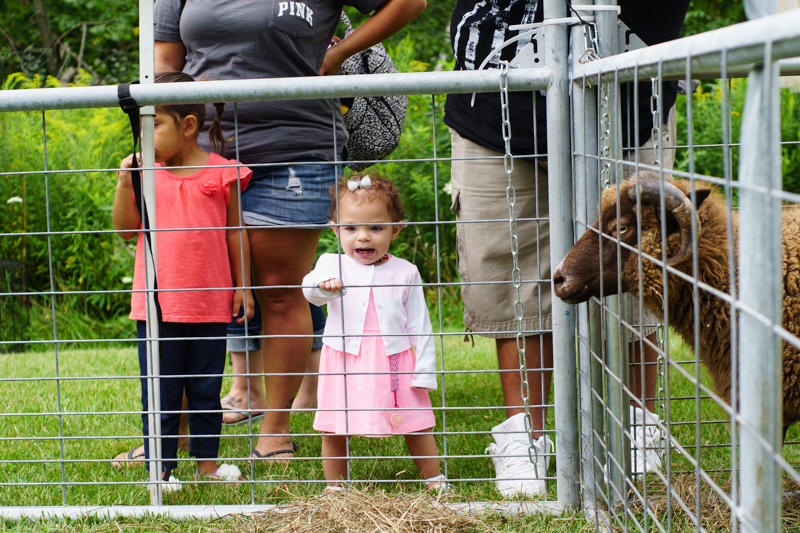 Our festival and large event petting farm is best suited for public events and larger gatherings. We require a two-hour minimum for our large farm. Our large farm is best held in a space 20 feet by 30 feet. Pony rides are available as an add-on to our fun and educational farm. Pony rides are booked based on the minimum and maximum estimated size of your guests. We can provide ponies for riders of most sizes, from small children to young adults. Each pony will have a dedicated, experienced handler to hand-lead the pony while riders are present. Parents of small children are required to walk alongside their children as a spotter. Please be aware that if your party requires larger ponies for older children, due to the size and weight of the animal, this can sometimes cause damage to lawns in the pony-walk path. We will go over this with you at the time of booking and as always we will do our best to repair any damage left by our larger animals prior to departure. When our time with you is up, we will clean up and remove larger waste. Some waste, such as goat droppings, are extremely small and will get lost in denser grasses. If we can get to it, we will remove it! Duck Duck Donkey was founded in 2017 as a way to bring our passion for farming and animals to those outside of rural communities. We find great joy in seeing people of all ages interact with unique creatures. Our outfit is housed in Lapeer, Michigan on just under 11 acres. 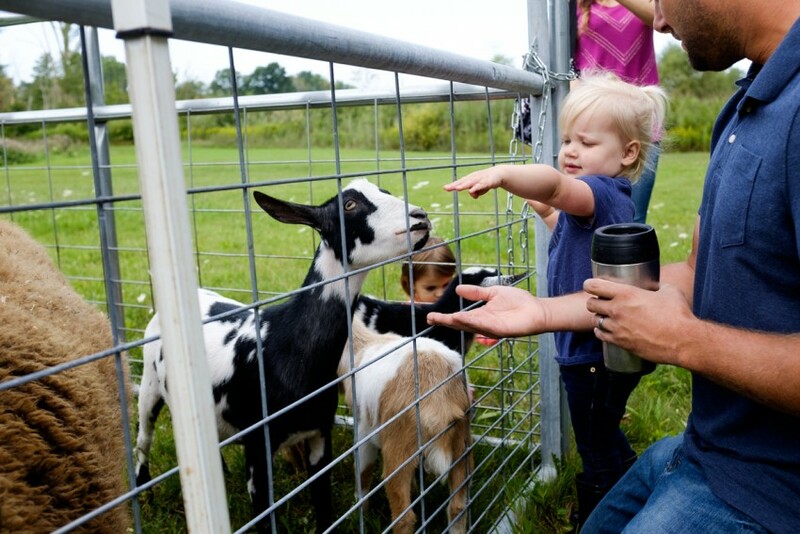 Split between pasture and wooded spaces, our animals have a wide variety of comfort and space to roam. Duck Duck Donkey is USDA certified and follows all laws and regulations surrounding the raising and care of our animals. They're not just our coworkers, they're our pets. We're proud to bring our farm family to you. We have a few minimal requirements and recommendations to help aid in the comfort and safety of our animals and your guests. If you have any questions regarding the following, please don't hesitate to ask. – We ask that a water source be available within walking distance of the petting farm. We will provide our own water buckets. – We require roughly 20 feet by 20 feet for our party farm and 20 feet by 30 feet of open space for our large farm to accommodate the farm and guest access. This can be on grass or cement. – We ask that we have access for loading and unloading within 200 feet of the petting farm space. An additional fee may be required if event space is over 200 feet from loading access. – Please check with your homeowner's association or governing body of your community, if applicable. Event hosts are responsible for obtaining required permission to bring livestock onto the property. – For the safety of all animals, please keep dogs inside the home during the booking timeframe, including estimated load-in and load-out times. If you own indoor/outdoor cats and can keep them inside, this may be the most comfortable for the cats.